You guys, they have their own background!!! 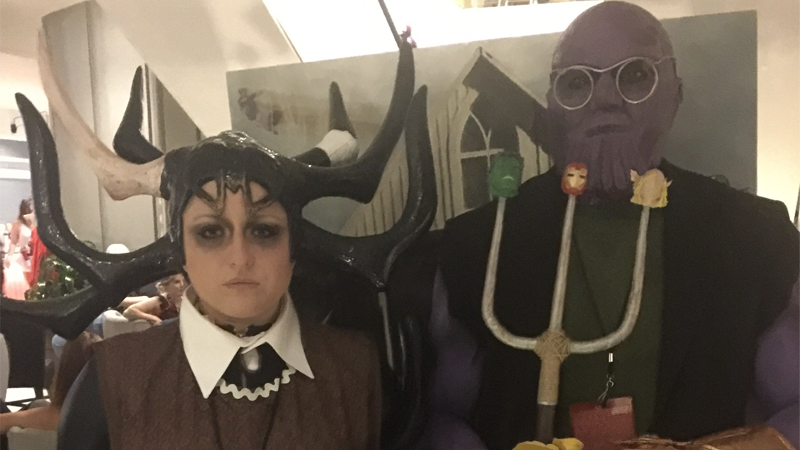 Last week we kicked off the annual io9 Halloween Costume show—and like the good, alarmingly well-prepared readers you are, some of you have already gotten plans sorted for your Halloween costumes three weeks ahead of time! Still looking for inspiration? Come see what our commenters have shown off so far. There’s plenty more inspiration if you head on over to the first post, but if you’ve already got your costume sorted, get to sharing in the comments section! And don’t forget, as always: Please post pictures of yourself (and only yourself), and tell us who you are, what you’re dressed as, and a little bit about how you put your costume together. All The Best, Spookiest, And Most Adorable Halloween Costumes!